When I was five years old I was involved in a lawn mower accident. In 2006 I had an elective surgery to amputate a little higher allowing for better prosthetics. Mentally I have had to overcome very deep depression and thoughts of suicide. I’ve also had to overcome addiction to pain meds. I believe my greatest success is to keep going, keep living day after day trying to maintain a positive attitude. Instead of asking “why me” I ask “why not me” , how can I learn and grow from this. Physically I walk, I run, I work, I compete in physical events and most people do not ever know I’m missing a leg unless I say something. I always want to keep taking a step forward. I enjoy Cliff diving, kayaking, hiking, mountain biking, snowboarding, construction work, logging and being a dad. 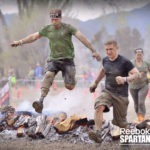 More recently I have enjoyed obstacle racing like the Spartan Race. I enjoy anything physically challenging. 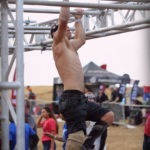 When others think twice about it, I think “bring it on”–this one legged man can do it. My advice to others is to press forward and realize there is light at the end of the tunnel. It’s a hard road, but you can overcome whatever comes your way with a positive attitude. You will become a better, stronger person and help so many others along the way by your example. Life is an adventure with many obstacles but it is worth it. Live it, love it, enjoy it!